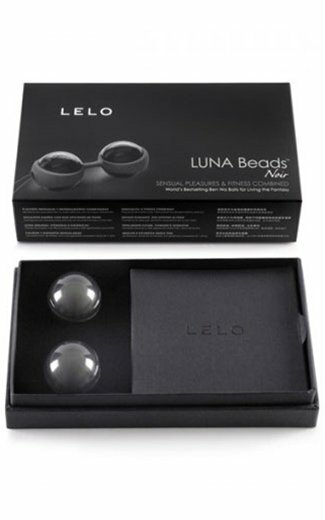 Description: LUNA Beads Noir are the sleek and seductive take on the World’s bestselling Ben Wa balls that promise irresistible pleasures during foreplay and beyond. 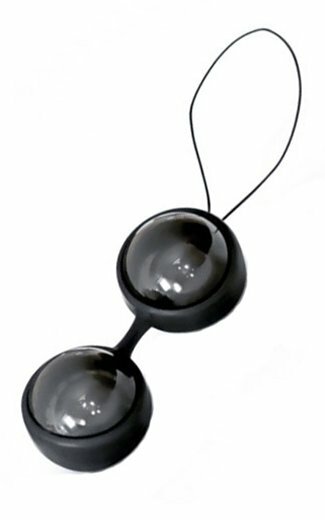 Perfect for wearing on a night with your partner, the inner balls respond to movements with subtle vibrations, enhancing your feeling for the pleasures to come. More than just building sensations, they also promise an array of health benefits and the potential to have more powerful and regular orgasms in the future. These beads have a diameter of 29mm for a comfortable and perfect fit for everyone, and can be worn one or two at a time with the inclusion of a soft silicone harness that allows you to choose your own unique pleasure. Please Note: Lelo Products are not eligible for any dollar or percentage off discounts. Very nice. A little on the heavy side if you've never used beads before. Go easy on the lube as they will fall out due to the weight.